Unique Athletics, Vail Vipers Track Club is an organization for youth ages 5-18 to gain experience by competing in USA Track and Field Junior Olympics all the way up to national level. 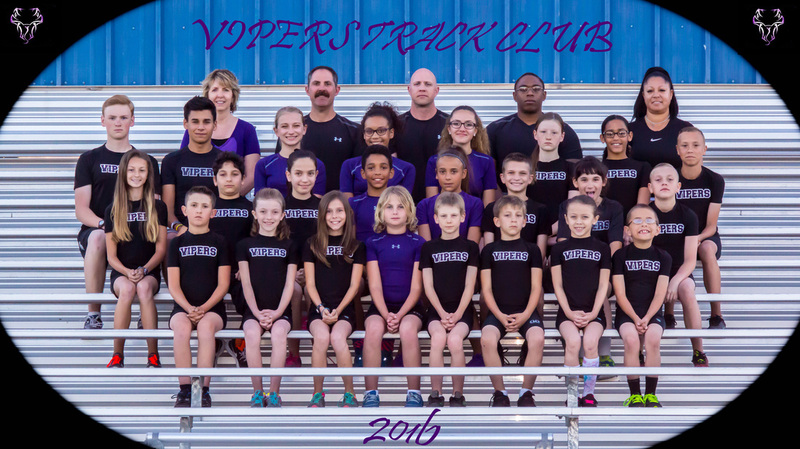 The Vail Vipers Track Club is designed to keep youth physically active which is now a major goal in our nation. What we do for them now may save their health in the future. Studies have shown youth participating in sports are less likely to be involved in drugs,be obese, bullied; they are more likely to become leaders in their community and graduate high school than those who do not play sports. The challenges of USA Track and Field Junior Olympics boost self-esteem, develop leadership, and lessen depression which lowers suicide potential. This helps make them stronger student athletes to face demands and trials of the world ahead. Participation in the sport provides athletes with opportunities for individual competition rather than the team experience available in many other youth sports. The clubs primary purpose is to provide an atmosphere for athletes to get plenty of exercise, develop track & field skills, and have fun. Emphasis is placed in personal development and goal setting; with achievement of performance goals as the basis for measuring success. Athletes are focused on striving for continual personal improvement rather than winning. The club is run by head coach Christina Pena whose athletes compete in running and hurdle events from 100m to 3000m including the jumping events which include long jump and triple jump and throwing events which include javelin, mini-javelin (for the Bantam & Midget age groups) and shot put. The rest of the coaching staff includes: Costaki Manoleas ( Sprints), Rebecca Manoleas ( Race Walking), OJ Maddox ( Javelin and Shot Put), and Matt Schilb ( Middle and Long Distance). Parents are asked to volunteer some time as helpers during Arizona meets to insure that they run smoothly and quickly. Vail Vipers are responsible for running events at the track meets. We seek parent volunteers to help run this event at each meet to insure that our club is meeting its commitment to all of Arizona’s athletes.